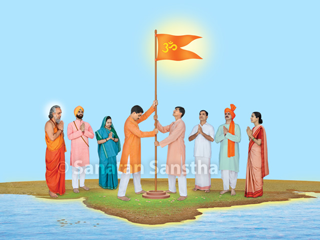 Forming a Hindu nation is the only answer to all problems of Bharat and it will be achieved not through the ballot and with the help of politicians, but only with blessings of Saints ! 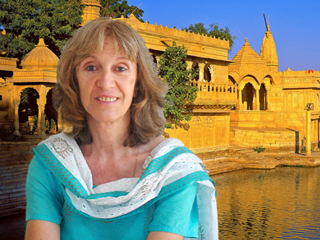 One speciality of Hindu Dharma and the subcontinent of Bharat is that remarkable incidents of the future have been pronounced much before they have actually taken place. 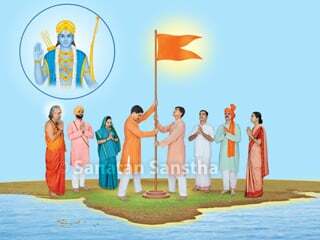 Who can establish Hindu Nation ? 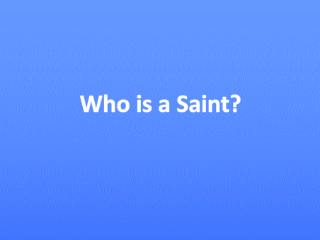 Many may feel that talking about the ‘Hindu Nation’ when practically nothing is happening in this direction at the physical level is an exaggeration; however, Saints who know the future have already sensed the bright future. 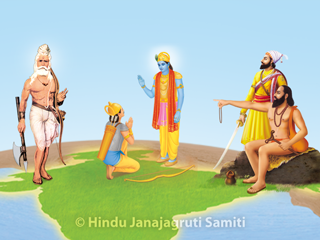 Many scholars have defined the ‘Hindu Nation’ based on Geography, History, Culture and Philosophy. 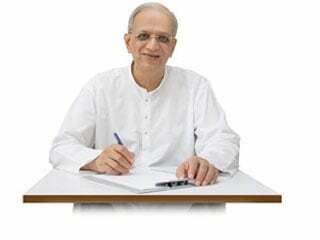 On the other hand, Paratpar Guru (Dr.) Athavale has elucidated the subject from the spiritual perspective. 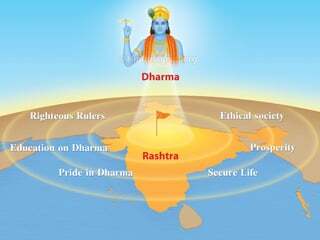 He who hates the Raja-Tama-predominant inferior components and the inferior karmas at all levels, whose conduct is sattvik, is a Hindu. 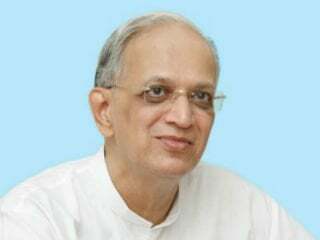 A treasure of thoughts from Paratpar Guru (Dr.) Athavale that give us an insight into the pathetic state of our Nation and Dharma, and the only solutions to problems we face today. When people like Zakir Naik conduct mass conversion of Hindus to Islam, media ignores it. When, however, a Hindu group brings back some of those who had converted out of Hindu Dharma, the media goes hyper. 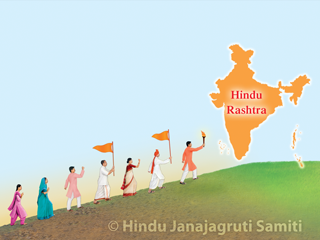 Does the establishment of a ‘Hindu nation’ mean that the constitution will be changed? 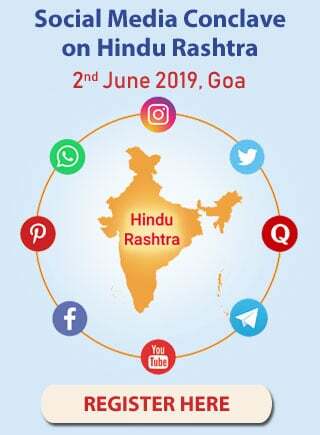 Will India still be secular? 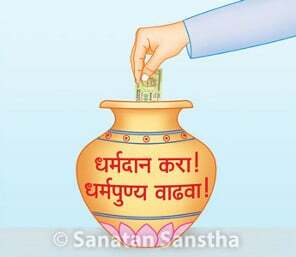 Or does the establishment of a Hindu rāṣṭra mean India will not be secular?